1 Who is Actor Woo Do-Hwan? 5 Do You Know How Rich Successful South Korean Actor, Woo Do-hwan Is? 7 Do You Know of his Personal Affairs, Dating, Girlfriend, is Woo Married? 9 Is Woo Do-hwan On Social Media? Who is Actor Woo Do-Hwan? 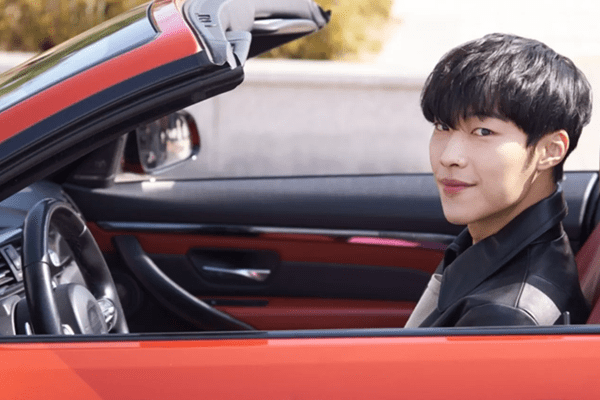 Woo Do-hwan was born on the 12th July 1992. in Anyang, Gyeonggi in South Korea, and is an actor, perhaps best known to the world as Kwon Shi-Hyun in the TV drama series “The Great Seducer”, originally entitled “Widaehan Yuhokja”, and as Kim Min-jun in the TV crime drama series “Mad Dog” (2017), originally entitled “Maedeouk”, among many other career accomplishments. The oldest of three children, Woo grew up in his hometown with his two younger sisters. Their parents’ identity remains unknown to the public eyes as they have stayed out of the focus of their son’s popularity, although it was the two of them who steered Woo towards acting. So upon successfully completing his high school education, Woo enrolled at Dankook University’ Department of Performing Arts, and graduated with a degree in performance and film. Even before graduating, Woo started chasing his acting debut; it was in 2011 that he secured his first role, a minor role in the TV series “You’re Here, You’re Here, You’re Really Here”, aired on MBN. The following year he featured in another TV series, “Shut Up Flower Boy Band”, which was aired on tvN. Then once out of University with a degree in his hands, he started pursuing more prominent roles, and he had luck in 2016 when he was chosen for the part of Seung-woo in the short TV series “Dramaworld”, but continued busily in 2016 with several other portrayals, including Ri Kyung-shink’s subordinate in the war drama film “Operation Chromite”, which was his film debut, and a minor appearance in the crime-action film “Master”. Furthermore, he played Kim Wan-shik in the TV comedy series “Sweet Stranger and Me”, starring Soo Ae, Kim Youung-kwang, Lee Soo-hyuk, Jo Bo-ah and Kim Ji-hoon. With these supporting roles, Woo honed his acting skills and waited for his big break, which happened in 2017, with the role of Seok Dong-cheol in the TV thriller series “Save Me”, starring Jae-yoon Jo, Sung-ha Jo and Hae-Kyun Jung. The same year he took another step forward with the role of Kim Min-jun in the TV crime drama series “Mad Dog”, starring Jae-yoon Jo, Hye-sung Kim and Hwa-young Ryu. However, Woo stunned the Korean public in early 2018 when he was announced as the lead in the new TV drama series “The Great Seducer” (2018), co-starring Kim Ara, and Mi-seon Jeon. So far, he has featured in all 32 episodes of the series, and is awaiting the shooting of the second season of the highly-acclaimed series. Do You Know How Rich Successful South Korean Actor, Woo Do-hwan Is? Since he entered the entertainment world, Woo has secured several notable roles, especially in “Mad Dog” and “The Great Seducer”, which contributed significantly to his wealth. So, have you ever wondered how rich Woo Do-hwan is, as of mid- 2018? According to authoritative sources, it has been estimated that Do-hwan’s wealth is as high as $1 million. One of his most luxurious possessions is of course his red BMW 530d sports car. His hard work and dedication has been rewarded not just by fat checks, but also a couple of awards; he brought home the KBS Drama Award for the Best New Actor for his work on “Mad Dog” from the 31st KBS Drama Awards, and was nominated for Best New Actor (Film) in 2017 at the 53rd Baeksang Arts Awards for his work on “Master”, and Best New Actor (TV) at the 54th Baeksang Arts Awards for his work on the TV series “Save Me”, but both roles just slipped out of his hands. Do You Know of his Personal Affairs, Dating, Girlfriend, is Woo Married? A number of major websites wrote about the apparent relationship between Woo and his fellow colleague, actress Moon Ga Young, following their on-screen relationship in the TV series “The Great Seducer”. However, these were just rumors, since both professionals denied any romance between them, stating that they are just friends and that their friendship started long before the TV series. So, where this leaves us when it comes to Woo’s dating life – he has never disclosed his relationship status during interviews, cleverly avoiding the answer to the particular question. Rather unfortunate don’t you think? I guess we will just have to wait for further information, aside from that, everything is just rumors. Though his talents are undisputed, it is his looks that also helped him secure several notable roles. With his dark brown eyes and black hair, Woo has captured many hearts, and with his attractive body figure, that number became ever higher. He stands at 5ft9ins (1.79), but his weight and vital statistics remain undisclosed. Is Woo Do-hwan On Social Media? Since becoming a prominent actor, Woo has managed to expand his popularity to social media networks and has primarily used Instagram to promote his work and his name as well. On his official Instagram page, Woo has over 910,000 followers with whom he has shared moments from his everyday life, but also some interesting events from TV sets, among many other posts that you can easily see if you follow the link to his official page. Aside from Instagram, Woo can’t be found on other social media platforms, such as Facebook, and Twitter, though there are a number of fan pages of Woo across Facebook and Twitter with around 2-5,000 followers. So, if you aren’t already a fan of this successful South Korean actor, then this is a fantastic opportunity for you. You just need to follow the link we gave you to his official page.